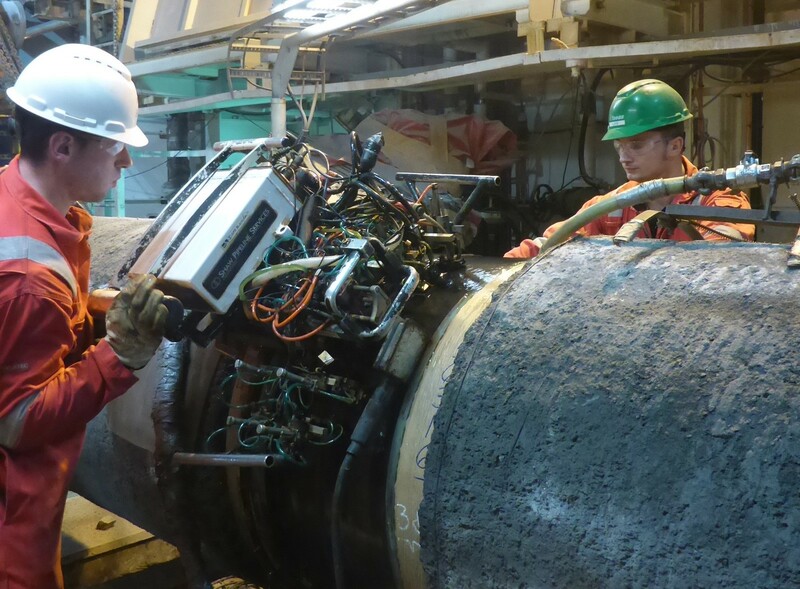 Allseas has installed over 20,000 km of subsea pipeline worldwide using S-lay technology, with diameters ranging from 2” to 48”. 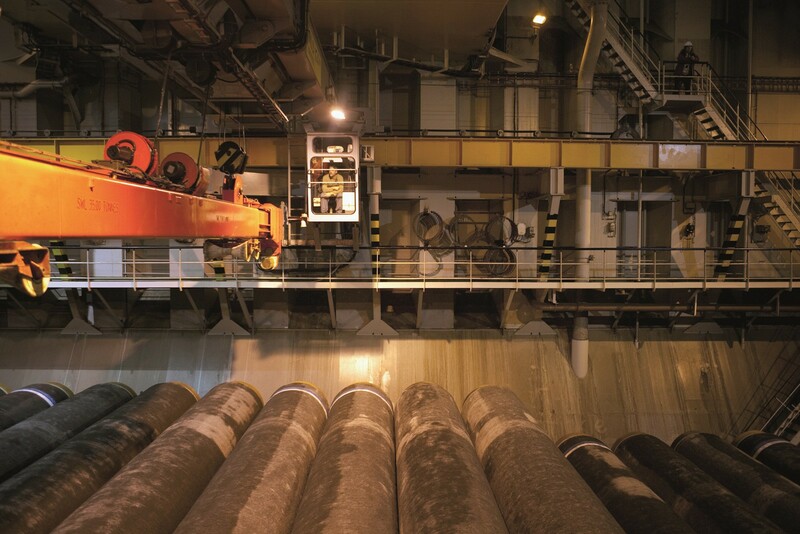 S-lay is characterised by its fast installation process and its application in all water depths. 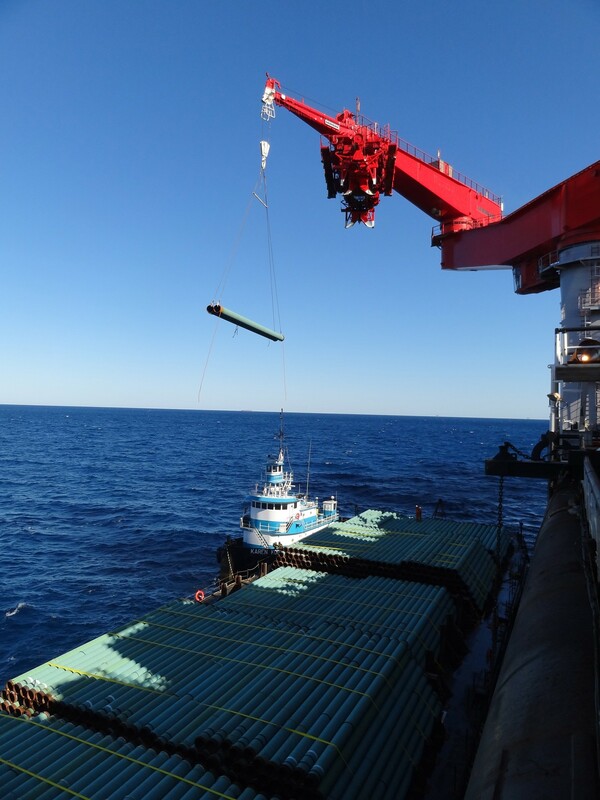 The “S” refers to the shape the pipe forms between the vessel and the seabed as it is laid. 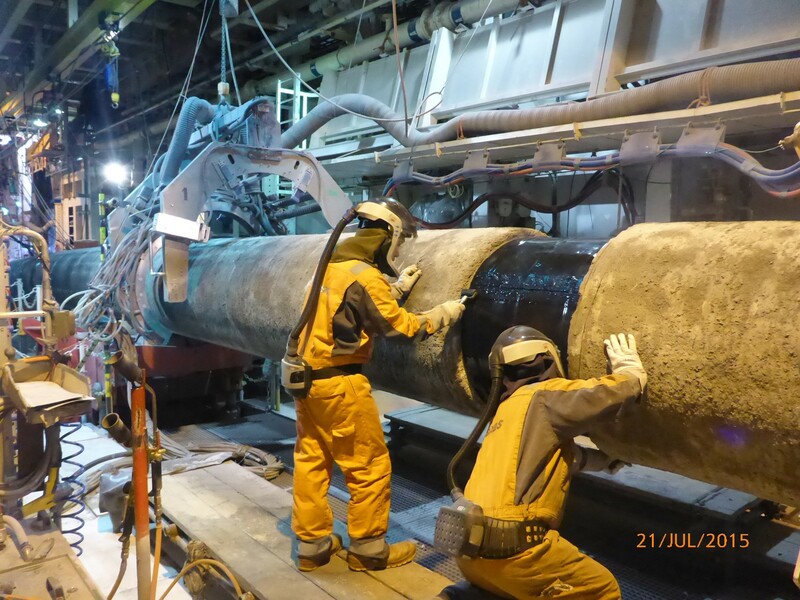 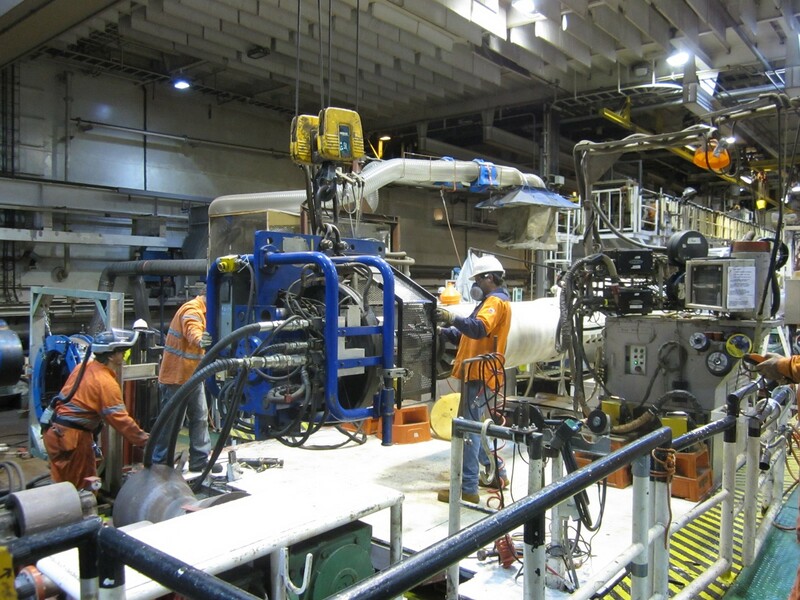 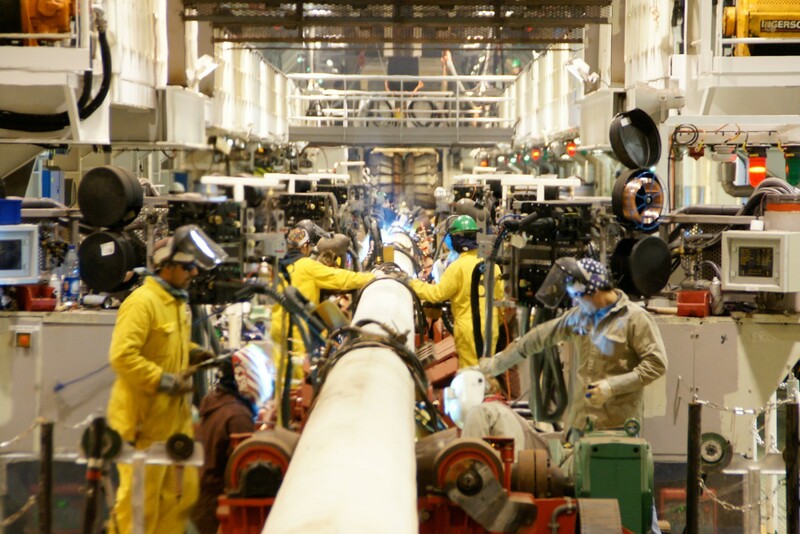 In the S-lay method, single lengths of steel pipe (joints) are welded, inspected and coated in a horizontal working plane (firing line) on board a pipelay vessel. As the vessel moves forward, the pipe gradually exits the firing line, curving downward through the water until it reaches the touchdown point on the seabed. 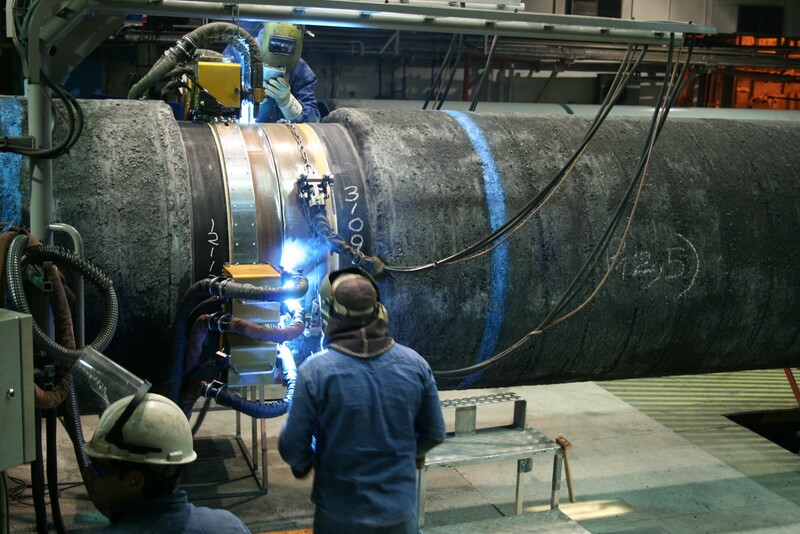 As more pipe is paid out – under its own weight it assumes the “S”‑shaped curve. 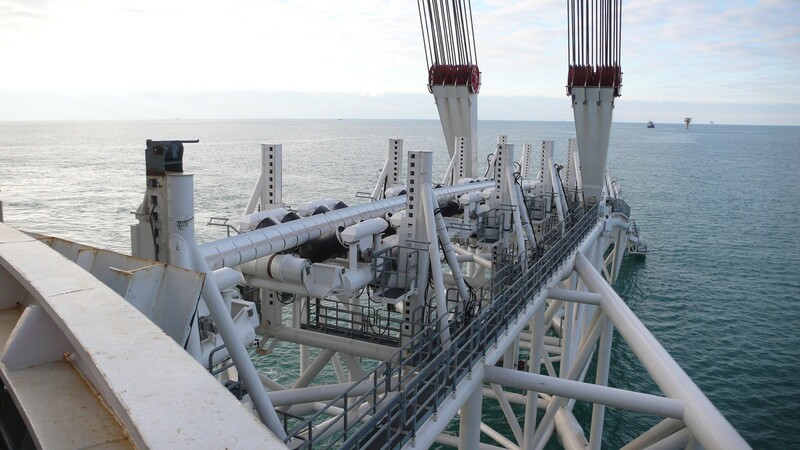 The curvature of the upper section of the pipeline (the overbend) is controlled by a stinger, a steel structure with rollers protruding from the end of the firing line to prevent buckling of the pipe . 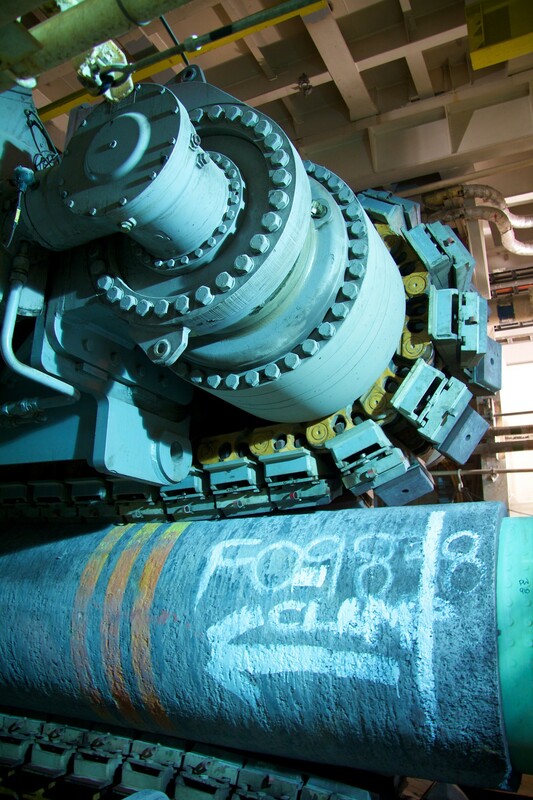 The curvature in the lower section of the pipeline (the sagbend) is controlled by pipe tensioners, caterpillar tracks that grip the pipe. 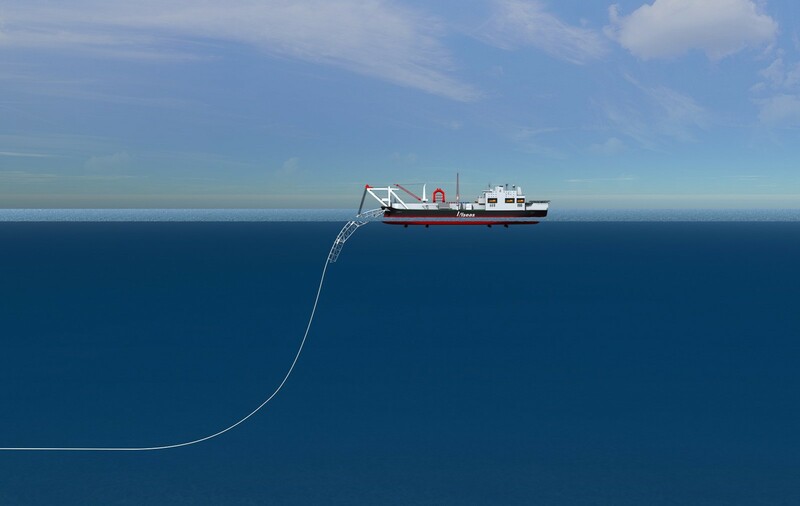 The amount of tension is one of the most important factors in the capabilities of an S-lay vessel.